So… this post has icky pictures in it. Sorry! 🙂 But if you’re looking for a natural way to get rid of warts, moles and skin tags, this might be something to try. 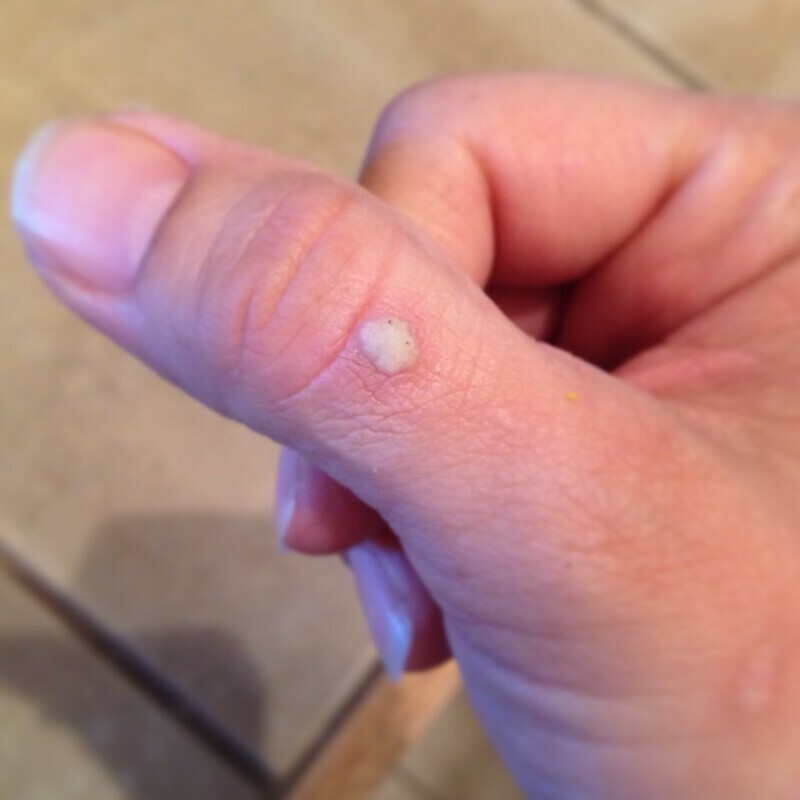 A couple months ago I had a wart spring up on my thumb. I haven’t had much experience with these nuisances thankfully, but I remembered reading that you can use Apple Cider Vinegar to remove them. This one was in a spot that was constantly getting bumped and bothered, and we had a vacation coming up and I didn’t want to have to be dealing with bandaids and such. At first I thought I’d buy one of those freeze off kits, but none of the pharmacies I went to had them in stock and as I read reviews of them on Amazon I realized that it was a gamble as to if they even would work. But over and over I saw people recommending ACV. Since I already had that I figured I’d give it a whirl. I cut a small pice of cotton ball, though not small enough, soaked it in ACV and bandaided it to the wart. It was not very comfortable to be honest. But after the first day this was what the wart looked like. The next day after keeping ACV on over night, this was what it looked like. There was also a small cut on my thumb near the wart that didn’t appreciate the ACV application. The skin around it was also a little inflamed. 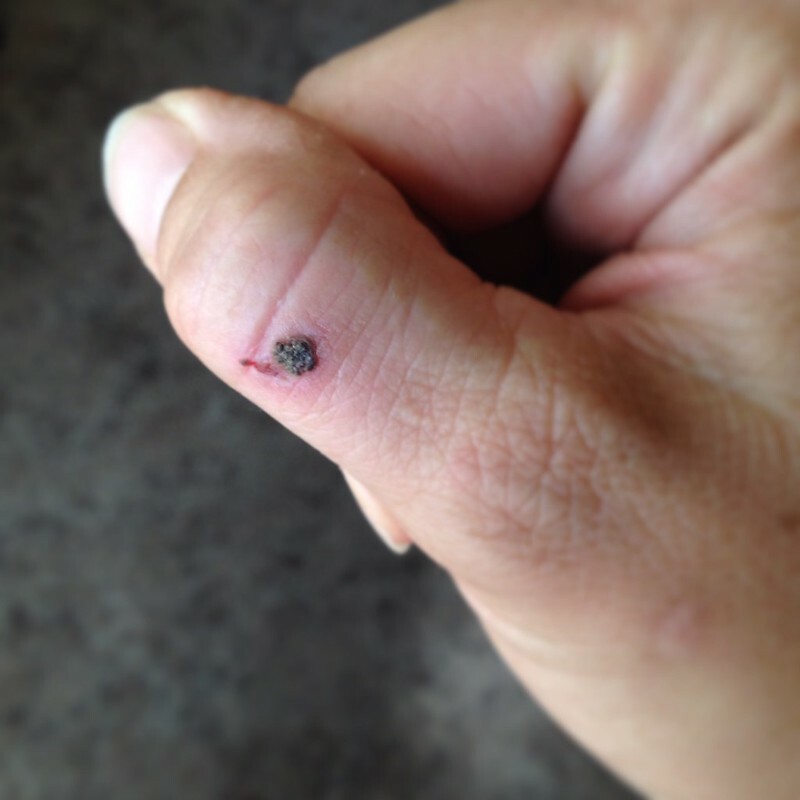 The third day the wart was completely black! Ewww!! This process just grossed me out by the way! 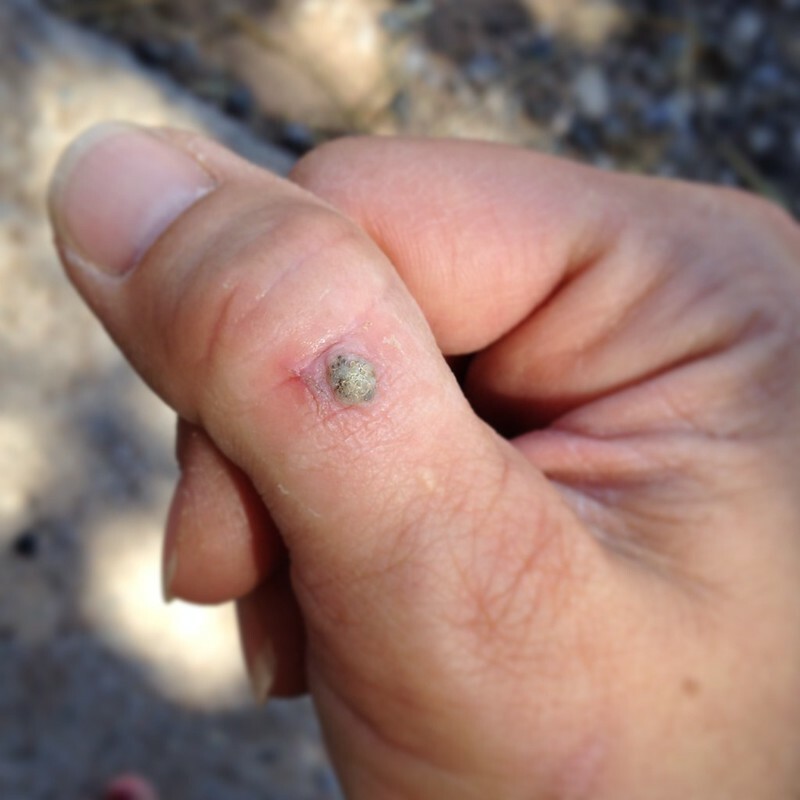 The next day the wart started to peel up a bit. 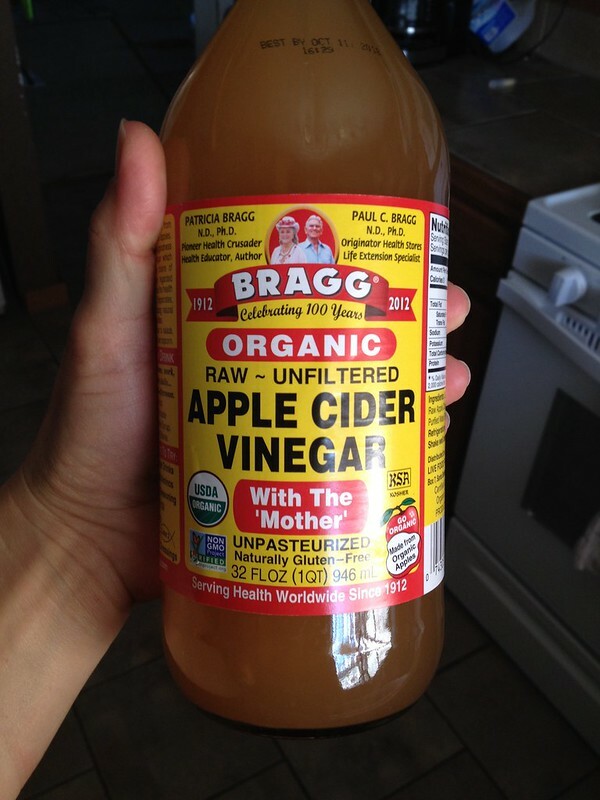 I kept at it with the over night ACV treatments, but it was uncomfortable. My thumb would throb for quite awhile, but I was determined to get rid of the gross glob! Around day 4 or 5 the wart caught on something and completely ripped off. Eeew! I was left with quite a crater in my thumb, but I thought I’d do ACV for one more night to make sure anything left there would be dead. However I couldn’t do it. It hurt way to badly to have ACV on that wound! So I decided to let it heal and just hope that everything wart related had been killed. The skin was quite inflamed for awhile and it seemed slow to heal but it did eventually, of course. I used some tea tree oil on it to help keep it from becoming infected. 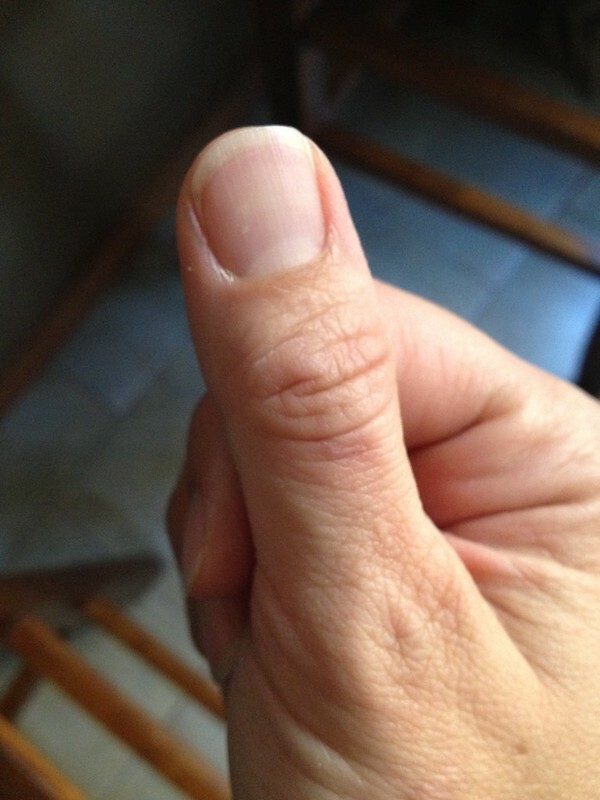 It’s been more than a month since I did the treatments on my thumb and all that is left is a small scar where the wart was. Do you think you’d ever use this natural method to get rid of unwanted skin issues?